Accounting technologies often celebrate their ability to collect all financial data in one place and make instant access available to every number cruncher on the team. But what if those advantages were actually limitations? The practice of financial planning and analysis is evolving quickly and moving far outside the scope of budgets and balances alone. Decision makers are increasingly incorporating operational data with financial data, including sales and marketing figures. 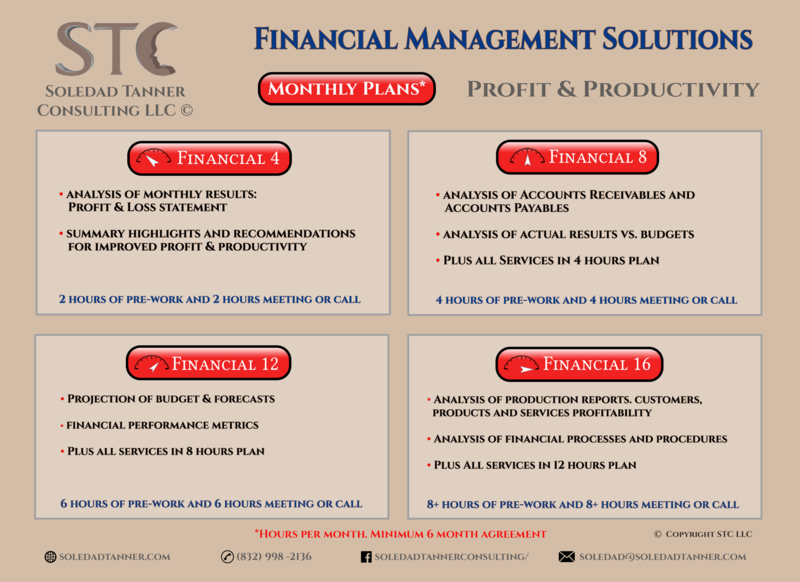 Finance and accounting are just one piece of business planning generally. This holistic approach has a lot of benefits. But the bigger concern is what happens when businesses fail to keep pace with others in the industry. Conducting financial planning and analysis using financial data alone encourages a shortsighted focus on immediate goals and objectives. Ultimately, that sacrifices long-term success for short-term stability. Limiting the focus to financials also leads to contradictory efforts. For instance, accountants might recommend slashing marketing costs to balance the budget at a time when a big ad push could be a strategic asset. A shortsighted approach forces the right and left hands to work against each other. Finally, and most consequentially, financial data alone does not tell the full story of finance. In fact, numbers can be notoriously subjective and misleading. When reporting is based on some but not all of the data, there is more room for manipulation and distortion. The details do not add up to the truth. Luckily, integrating financial and operational data is achievable with today's technology. The traditional view of a business as a set of discrete departments has evolved to acknowledge that these departments are interconnected and interdependent. So, if marketing and finance are influencing and impacting each other, why are they working separately? Using all available data to create reports upgrades the process in every way. Decision makers can forecast the future rather than archiving the past. Efforts and inputs are streamlined to achieve common strategic objectives. And the true health of the business is illustrated in accurate, up-to-date detail. Implementing a common platform for all data, all users, and all analysis might sound like an overwhelming obstacle. But with tools like Sage Intacct and Adaptive Insights it can be simple and seamless. Getting these solutions off the ground is easier thanks to the cloud. And their features and functions make true business planning accessible to organizations of all types. During this Holiday Season, we take time to reflect upon the good things we have in our daily lives. Your friendship and partnership is our treasure! We hope that 2018 is filled with health, happiness and spectacular success! 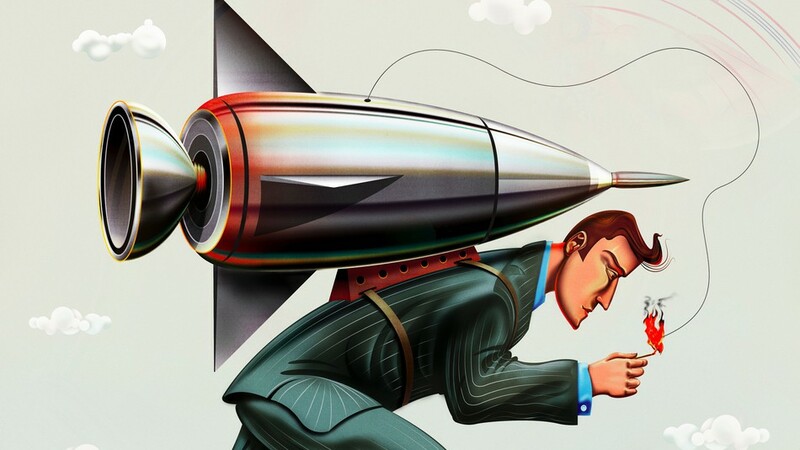 If you think you’re ready to start a business next year, here are some of the advantages. Be the master of your own destiny in 2018. 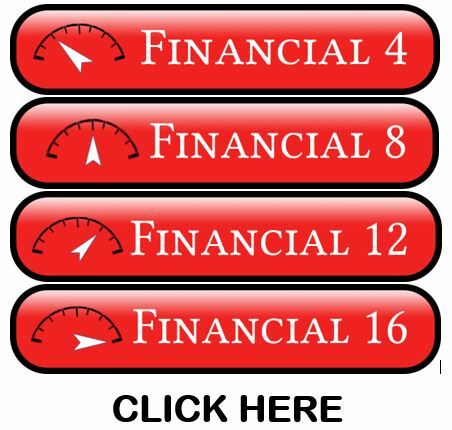 Invest in Financial Solutions Today! Don't worry, we are here to help! We bring you proven and profitable strategies. Increased your revenue & stay competitive. Thinking of starting a business? There's a lot of thinking to be done to start on your own. Like any relationship, if you want it to be successful, prepare yourself to have it's ups and downs and surprises. 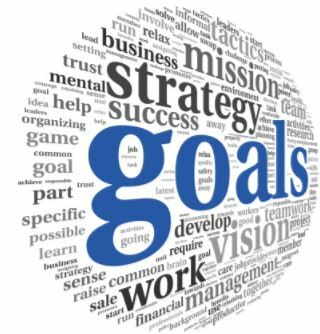 If you don’t know your goal, don’t have a goal or can’t articulate your goal, stop! Write down your goal. Look at it every day. Read it out loud. This is what will keep you going. Why is it important to evaluate the performance of your company, month by month? 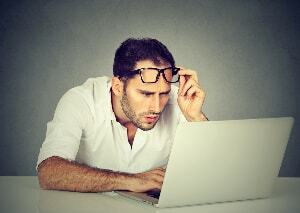 Are you afraid to face the financial reality of your business? Would you like an expert to analyze and interpret the results? Don't worry, we are here to help! "I have known Soledad Tanner for over 15 years and I was extremely pleased when I learned she will undertake consultancy work that I can tap on. Managing a small company, all of her expertise came in handy when we need it to tackle a major project. Soledad’s ability to focus on the core issues of the project, collect and collate supporting information and steer us in the right direction proof invaluable to us. 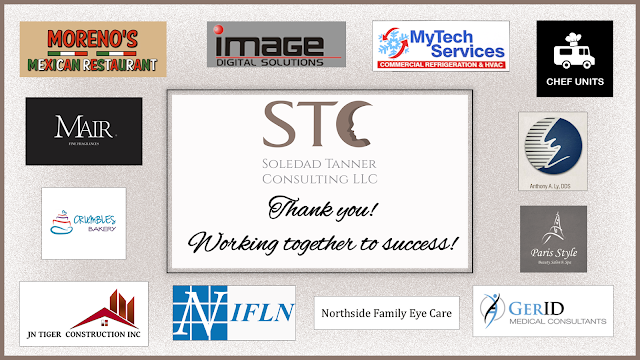 I strongly recommend to any organization with STC Business & Financial Management Consulting needs to engage Soledad Tanner as she has been invaluable to us". 2018 is rapidly approaching and with the end of the year comes plenty of resolutions for the New Year. For aspiring entrepreneurs, starting a small business is most likely at the top of their to-do list. However, this resolution is easier said than done. Starting your own business requires investing all of your time, energy, and resources every day to help the business take off and become a success. It’s hard work, but it also pays off and allows you to be the master of your own destiny which may be why entrepreneurship is such a popular resolution. If you think you’re ready to start a business next year, here are some of the advantages to the process you’ll be able to enjoy. 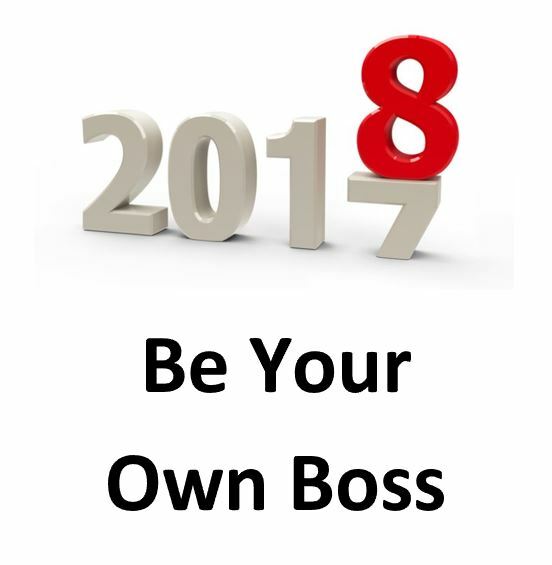 Why wait until 2018 to start a business when you can get a leg up early and open shop this year? If you incorporate before the year ends, you may have to pay franchise taxes. Waiting to get your business up and running at the beginning of next year might feel like it’s pretty far off from now, but it ensures that you will only have to pay taxes for the current year that you’re in business. In the meantime, focus on sharpening your business ideas and prepping the groundwork for your startup. Use this time to perfect your elevator pitch, draft up an objective business plan, analyze the market you want to reach, determine what legal structure you want incorporate as, and critically examine your finances including whether or not you’ll need to apply for a loan. Being your own boss is a much more double-edged sword than non-entrepreneurs may realize. On the one hand, you get to create your own schedule and run the show rather than work for someone else. On the other, you are fully responsible for every decision you make. All of these actions fall on your shoulders, especially if you chose to run your own business without any outside partners. As your own boss, you should possess, and be willing to grow and refine, the following characteristics. Positivity. How do you react to frustrating or disappointing moments? Are you more inclined to throw in the towel and sulk or push through the hurdles and persist? Your entrepreneurial journey will be full of ups and downs, but having a great attitude no matter what the situation looks like will take you much further than negativity. A can-do attitude. Become a “yes” person and nix saying no, especially when it comes to the customer experience. Great communicator. Entrepreneurs communicate with a wide variety of people from partners to employees to customers on a daily basis. Take the time to understand how people like to be communicated with and interact with them accordingly. Strong work ethic. This is the time for you to roll up your sleeves and have the discipline to get down to business 24/7. Risk taker. As Ms. Frizzle on The Magic School Bus would say, take chances, make mistakes, and get messy. Entrepreneurs should be ready and willing to do all of this for when it comes to their business. A good listener. Listen to the needs of others as much as they listen to you. Be open to constructive feedback, good or bad, and take it to heart as it will allow your business to grow. For a long time, one of the biggest barriers that kept would-be entrepreneurs from fulfilling their resolutions of starting a small business was a lack of knowledge and assistance. Today, there’s no limit to the amount of available support. Websites like TaskRabbit and Fiverr offer marketplaces where professionals trained in every area from graphic design to social media can provide affordable services to entrepreneurs. Most major cities have accelerator and incubator communities that provide funding and mentorship to ‘treps with big ideas. And there are plenty of apps including Dropbox, Evernote, Square, and Salesforce that make it easy to run your business on the go. There’s only one more thing you need in order to start a business in the New Year: passion. You have a new idea that you, and those around you, truly believe in, that excites you and that you are motivated to bring to life. Don’t put it off any further — get your startup in gear at the beginning of the year. After all, New Year, new you, and a new business too! Deborah Sweeney is the CEO of MyCorporation.com. MyCorporation is a leader in online legal filing services for entrepreneurs and businesses, providing start-up bundles that include corporation and LLC formation, registered agent, DBA, and trademark & copyright filing services. 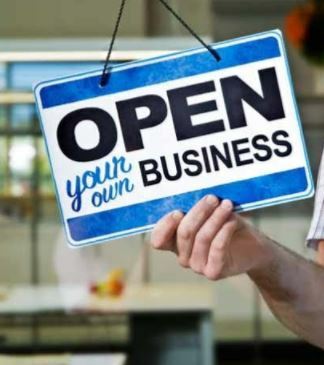 MyCorporation does all the work, making the business formation and maintenance quick and painless, so business owners can focus on what they do best. Follow her on Google+ and on Twitter @mycorporation.